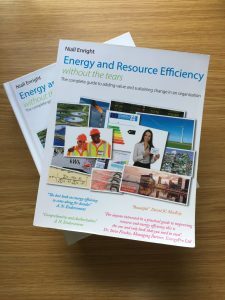 I have had some kind feedback about my decision to give away a free PDF of my two-volume book on energy and resource efficiency, which sells for £59.99 (US$79.99) in print. Several people have commented on just how much work must have gone into the book and how useful it is for anyone in the energy and resource efficiency field. 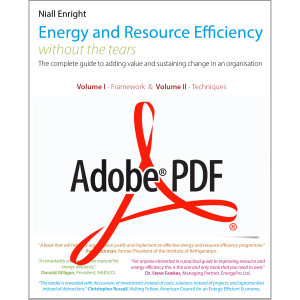 It is true that I have invested a lot into this book – over six years of weekends, evenings and holiday time writing the book between my “day job” as a consultant and Sustainability Director. And there are the direct costs in editing, images etc – which are not inconsiderable. In some cases colleagues have asked me outright why on earth I am giving away such a valuable resource. There is puzzlement because folks who know me, know that I have quite a good “business head”. So I feel that I owe people an explanation. 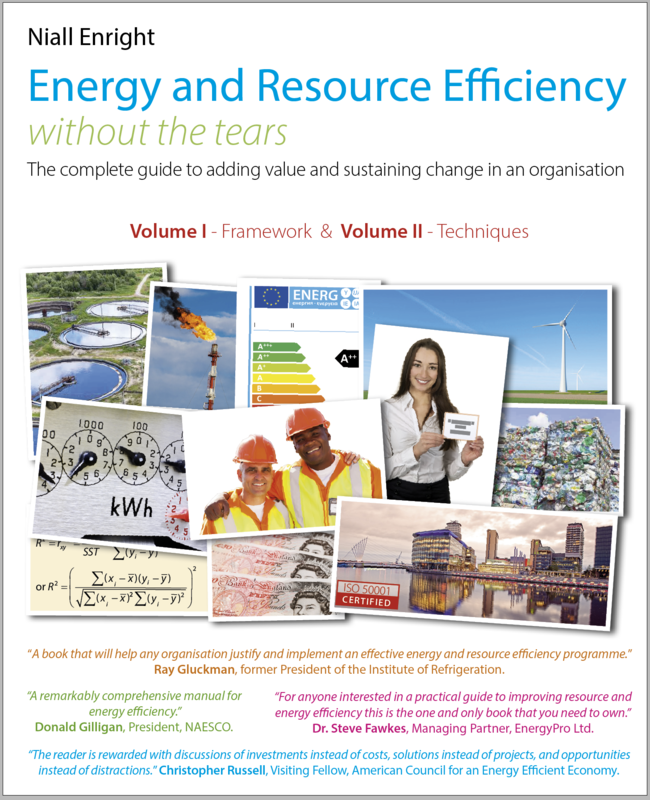 The reason I am giving away my book is that I passionately believe that my profession – energy and resource efficiency practitioners – are central to solving one of humanity’s biggest challenges – how to do more with less. 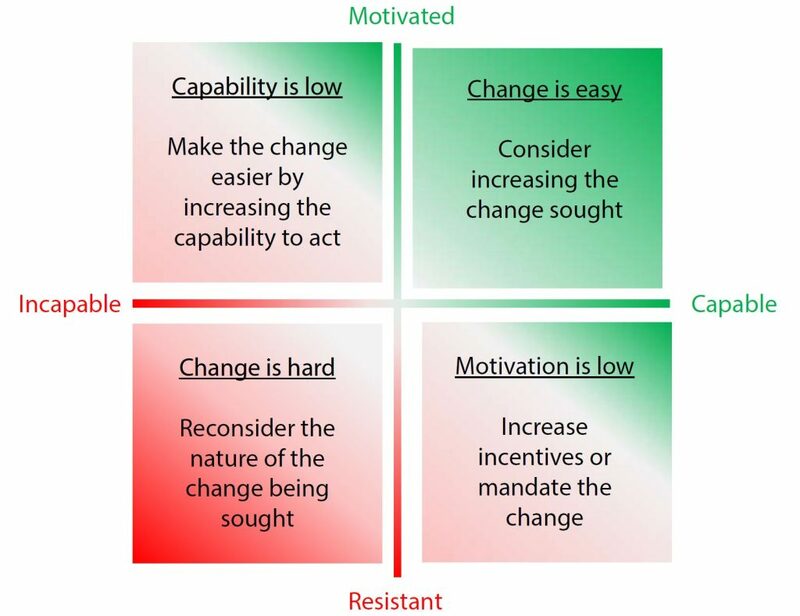 Over the years, I have observed that fellow practitioners often have great resources and knowledge about the technical or engineering aspects of their craft – but that there is virtually nothing that explains, with honesty, how to deal with the strategic, organisational, managerial, behavioral, financial and communications aspects. 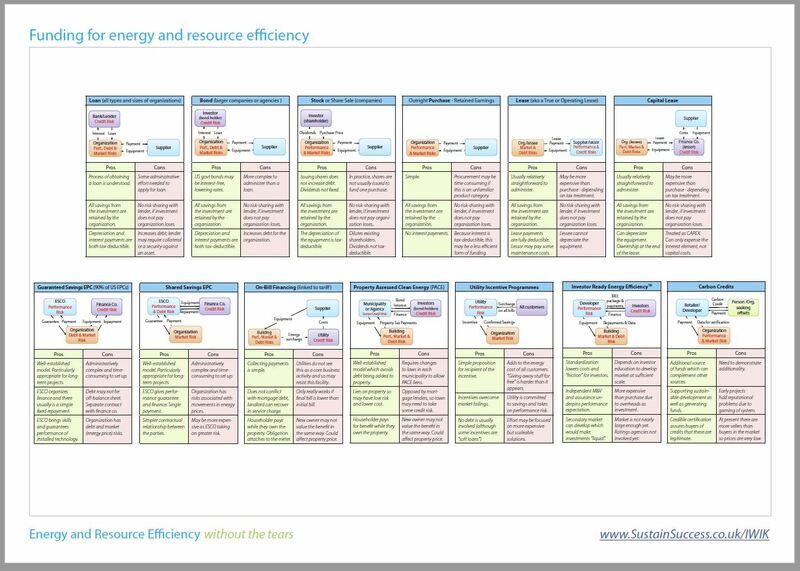 In fact, the plethora of self-congratulatory case studies from organisations would lead one to conclude that this efficiency stuff is easy. I am giving away my book because I want to help my colleagues, because I am concerned about climate change and biodiversity, because the better we are at what we do, the better world we will leave for the next generation. I don’t pretend to have all the answers in the book, but I do believe that there is much to support colleagues, and to train and enthuse the next generation of practitioners. 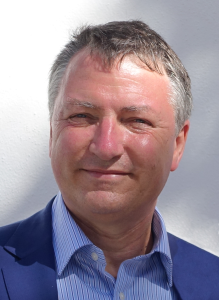 I have been very lucky – I have worked for some outstanding clients in some remarkable programmes all over the world, alongside some truly amazing colleagues. 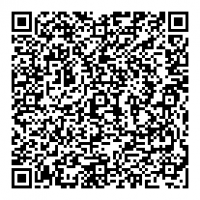 Its time to give something back! So how can you help? First of all please do share the PDF and the link to this blog (bit.ly/2qtzKPP) – the more folks that make use of the book the better. Second, if you have suggestions for improvements, additions or if you spot errors please do let me know – I am totally committed to getting the contents right. Finally if you are old-fashioned, like me, and you absolutely must have a printed copy of the book, please order it through my store rather than elsewhere – I have deliberately priced the printed book at the lowest level possible, which means that when the retailer takes their minimum required 40% commission on the sale price, there is virtually nothing left. 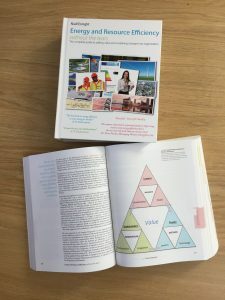 That is deliberate – this book is not a money-making project! However, by ordering the book through my store, that 40% contributes towards recovering some of the publication costs and towards future revisions and (possible) future books. There is a free shipping option to most countries and ordering through my site is the most sustainable way of shipping as each book is individually printed on demand and sent directly from the printer to you (there are no additional journeys to warehouses etc). Above all please do use the book! 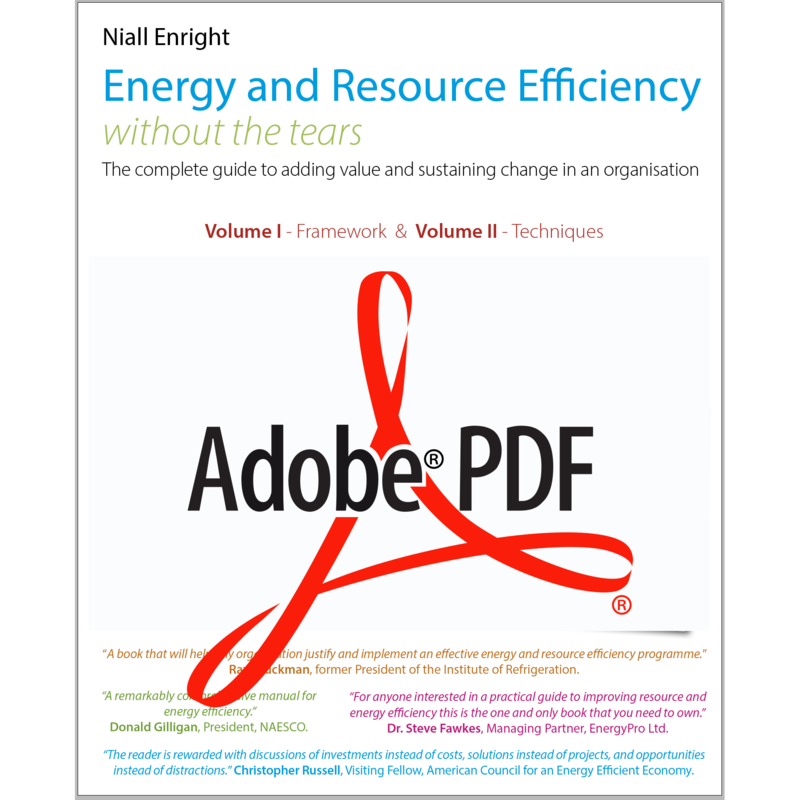 You can get the free PDF here – simply select the free PDF on the left, add it to your cart, and checkout as normal. Hopefully, there is something there to help us all do more with less. 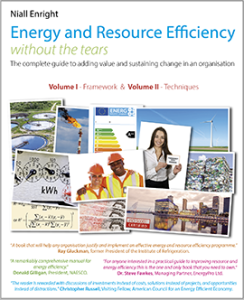 Asking for Management Commitment to an energy or resource efficiency programme can be daunting. After all management folks are important, and busy, and showing why greater efficiency is material to the organisation can be difficult. 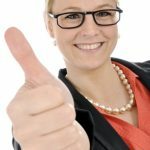 Here are a few simple tips that can make “The Ask” easier and more successful.